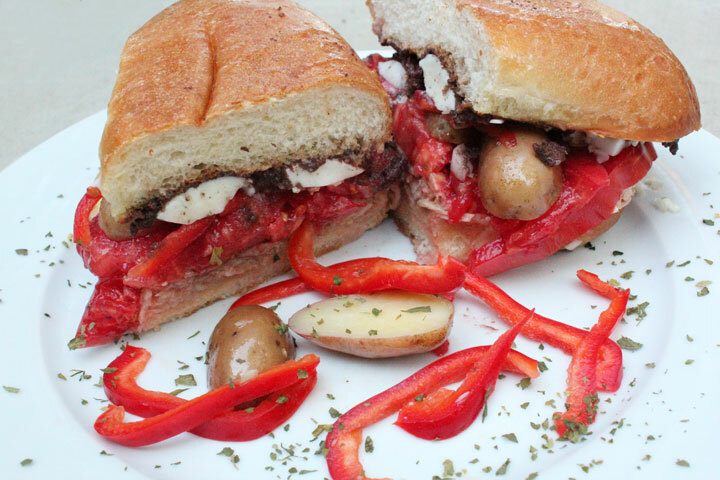 Meals that can be created with a minimum of dishes dirtied are always good things. They tend to be simple, filling meals that are satisfying to consume. One of my favorites is not only simple, it’s also incredibly inexpensive. 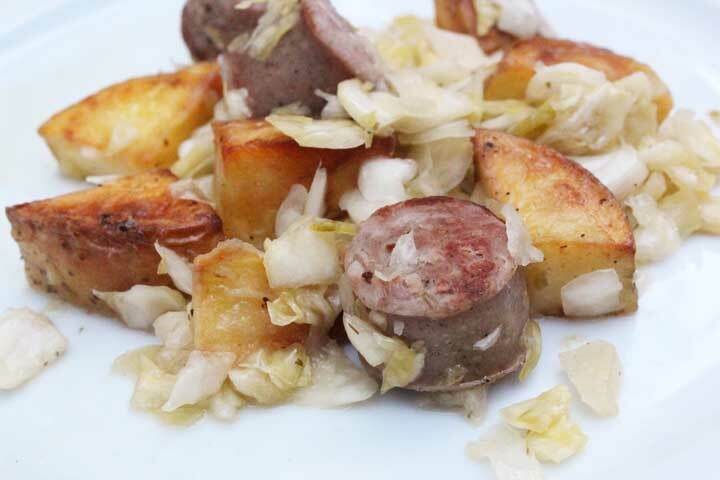 It involves three, yes three, ingredients — potatoes, sausage, and sauerkraut. I try to have at least two meals a day that contain fermented foods. Lunch is easy, as I always have a fruit smoothie blended with yogurt. It should be somewhat obvious at this point that I’m a fan of pairing fermented grapes with dinner. Sometimes, a bit more of those helpful, little organisms that exist within fermented foods are desired. Not only can they give a dish more of a tang, more of a flavor profile, they can also make your gut happier. That’s when a good sauerkraut, kimchi, pickle, etc. is needed. Since I’ve been suggesting perfect pairings to go with my weekly dish-of-choice, I thought I’d share what I drink with my humble — though incredibly satisfying — one pan meal. 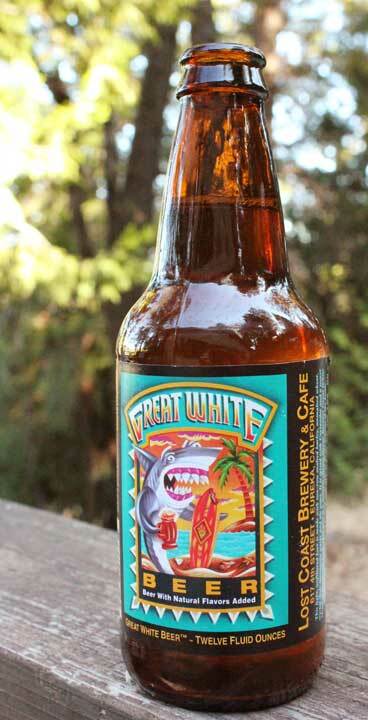 Beer, specifically Lost Coast’s Great White, my all-time favorite brew, is a perfect choice. It’s citrus-y with a spicy finish, pairs well with all of the flavors of the dish, and is light enough to not bog down the stomach. Just as I’ve found that I can eat fermented bread, I’ve found that I have no issues with beer. Here’s where you’d hear both a big, relieved sigh and a mighty, “Yahoo!” if I was hanging out with you irl. Heat up a skillet over medium-high heat. Cook bratwurst until they’re beginning to brown slightly. Add potatoes and cook until potatoes are soft, up to 30 minutes. (If you purchased pre-cooked brats, cook potatoes first, then add sausage and brown.) Once potatoes are cooked, lower heat to how, add sauerkraut and keep in pan just long enough for it to warm. Serve right away.